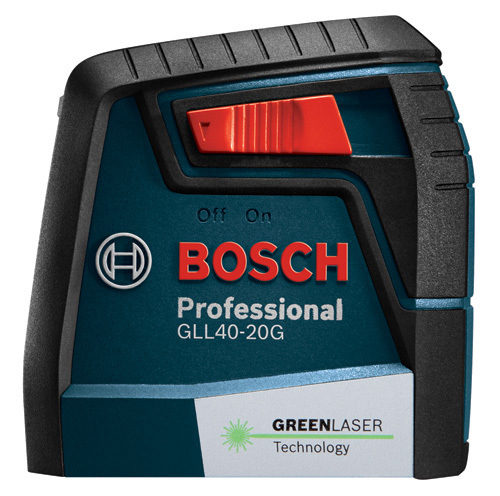 The Bosch GLL40-20G Self-Leveling Cross-Line Laser projects visible green laser lines, which are up to 4X brighter than standard red beams. The tool has a working range of up to 40 Ft. and offers reliable accuracy of ±5/16 In. at 30 Ft. 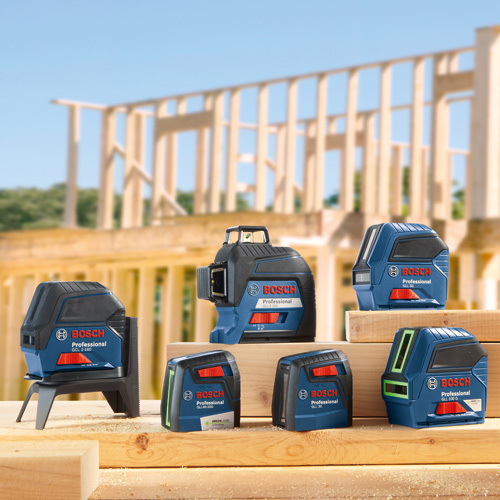 It features Bosch-exclusive VisiMax™ technology, which monitors tool temperature and power consumption to deliver the brightest line for the job, optimized energy efficiency and long-term tool reliability. The cross-line laser is also equipped with a Smart Pendulum System allowing for automatic self-leveling and indication of out-of-level condition, as well as pendulum lock for safe tool transport. The included MM 2 Flexible Mounting Device provides a rotating 360° neck for quick setup and simple fine-tuning allowing for the laser to be clamped onto virtually any surface from 1/2 In. to 2-1/4 In. thick.